The Ranji cricketer, who shone in his stint with Mumbai, reminisces about his journey with the team. 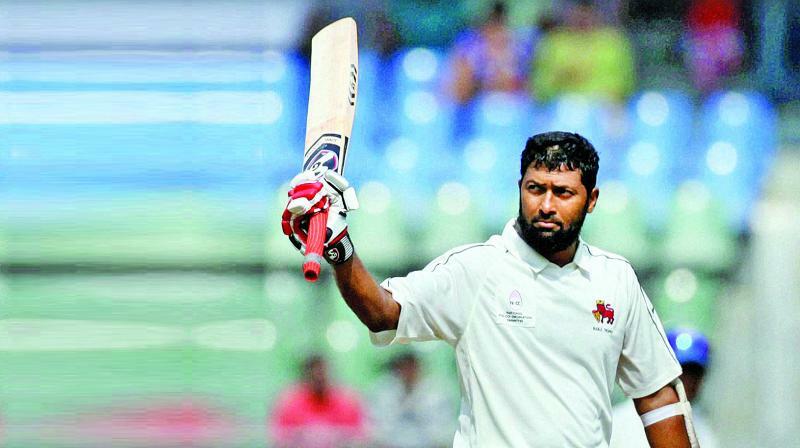 Ranji cricket’s highest run scorer and former India batsman Wasim Jaffer said returning to the Mumbai team is “pointless” now. The flamboyant right-hander enjoyed 19 years playing alongside a plethora of cricketers. His farewell two years ago was an emotional one and he does not want look back for anything else now. A strong player of the legside, Jaffer’s flick to the mid-wicket region is one image that has stayed in the minds of every cricket fan in the country. Jaffer is now a part of the Vidarbha side that stand strong at the second position in Group D of the Ranji Trophy with two outright wins. Leaving a part of his heart in Mumbai, the veteran says it is an honour to be a part of an historic achievement as Mumbai approach their 500th Ranji game on November 9 against Baroda. “Not many associations have achieved such a great procurement. It is a great honour to be a part of such a team,” said Jaffer. “Returning now is pointless. I wanted to give a chance to the youngsters and I do not want to be in their way,” he further added. Jaffer departed in 2015 after winning multiple titles, scoring thousands of runs troubling several bowlers with his solid batting technique. The opener also scored a double century during his 31-match stint with the national team. His style of play is still admired by many observers of Test cricket. Jaffer ruled out his return to the 41-time Ranji champions and says he is happy the way youngsters have performed , especially the 17-year old Prithvi Shaw, who has been making headlines. “He (Prithvi) had a great start to his career but he needs to keep performing to make it to the national team. I wish him the very best for his future endeavours,” said Jaffer, who will be travelling to Kolkata to play the next Ranji game. Jaffer is aged 39 but there are no plans in the air to hang up his boots. He wants to stick around and follow his passion. He has managed to get 131 runs in four innings this season. The former India batsman feels clearing the group stages is their priority number one this season. “The day I stop scoring runs and my performances go down, I will hang up my boots. For now, I am good,” said the Mumbai cricket legend.